Mike and Avril are working hard to create a business that not only offers an amazing product but one that is created from passion and builds community. When we picture combing food and community in a way that can succeed, a food truck/mobile restaurant offers the perfect opportunity. Mike's love is for food and cooking. Avril has experience in the food industry and with marketing, design, branding, event planning and networking. Together we both have a strong drive to be a benefit and of service to our community. We believe this opportunity will succeed with our skill set and passion while making a positive change in Portland, Maine. 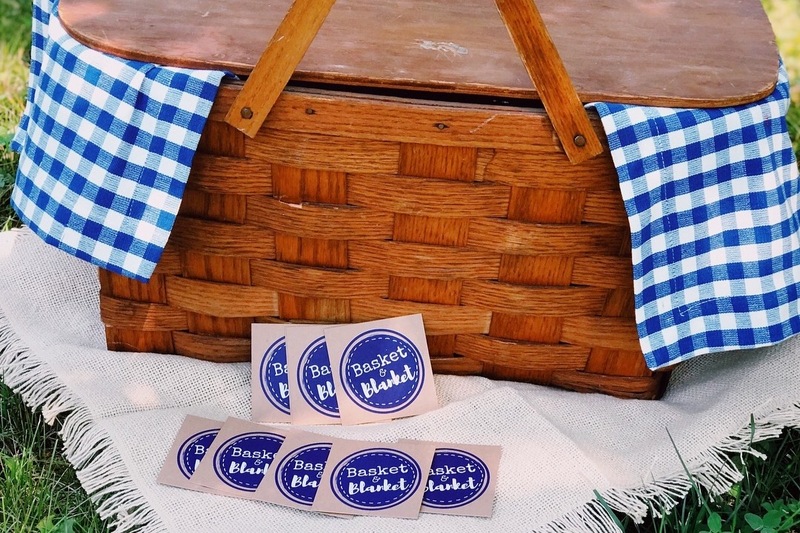 We have created a modern take on a picnic theme, lovingly named "Basket & Blanket." Our menu consists of sandwiches, sides, desserts and drinks, that are locally sourced as much as possibleand created by Mike (although Avril is happy to taste test and, as always, put in her two cents). 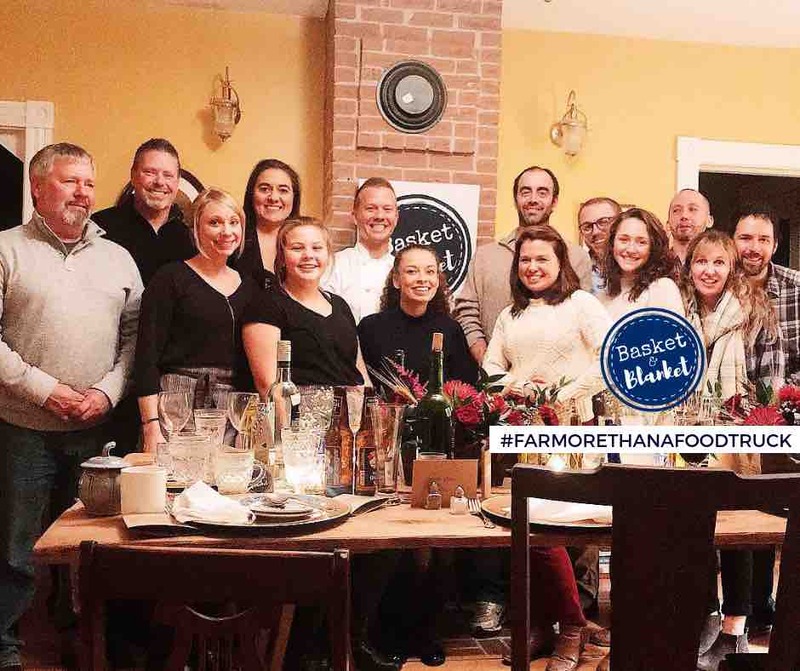 We want to know where our food comes from and build in-going relationships with Maine farms and businesses while providing great food at a fair price to our guests. We look forward to using our truck as a way to give back to the community through the "Basket & Blanket Project,” offering baskets of goods and blankets to various non-profits and organizations in need. That may mean a basket of toiletry items and a blanket to the homeless or childcare items and a comfort item to children in foster care or baskets of animal care products and dog blankets to animal shelters, depending on the focus at that time. We will use a portion of our profits along with fundraisers to help fund the project. Aside from doing our part in the city of Portland and supporting local businesses, in having a seasonal business we are also hoping to set ourselves up to have the schedule flexibility that allows us more time with Mike's daughter, while giving her experience in what it take to run a business. We want to demonstrate that it is possible to build a business that supports local economy, other organizations, passions, our family and our guests all at the same time. Mike has been working in the food industry for 17+ years and has experience in all areas of the restaurant business. 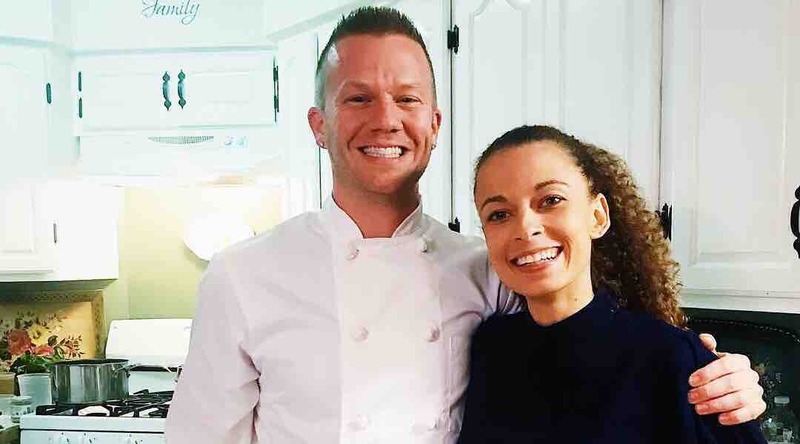 He assisted in opening a restaurant in Brunswick, ME where he was the head chef in 2016. 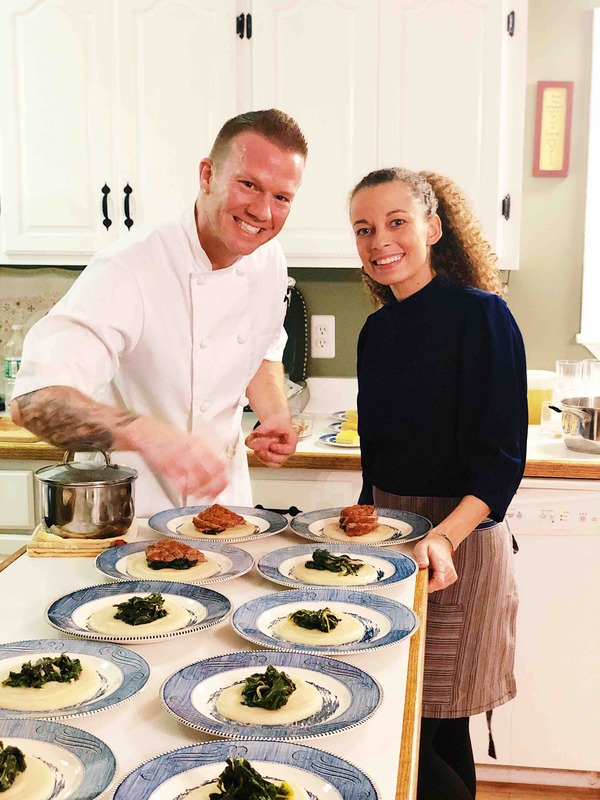 Food and cooking has always been his biggest passion and, as a single father, has been something he has passed on to his 14-year old daughter. He currently works as the Executive Chef at a restaurant in Portland. Ultimately, he dreams of using his passion to be of service to others. Avril has a degree in Art Education and a 200-hour yoga teaching certificate. 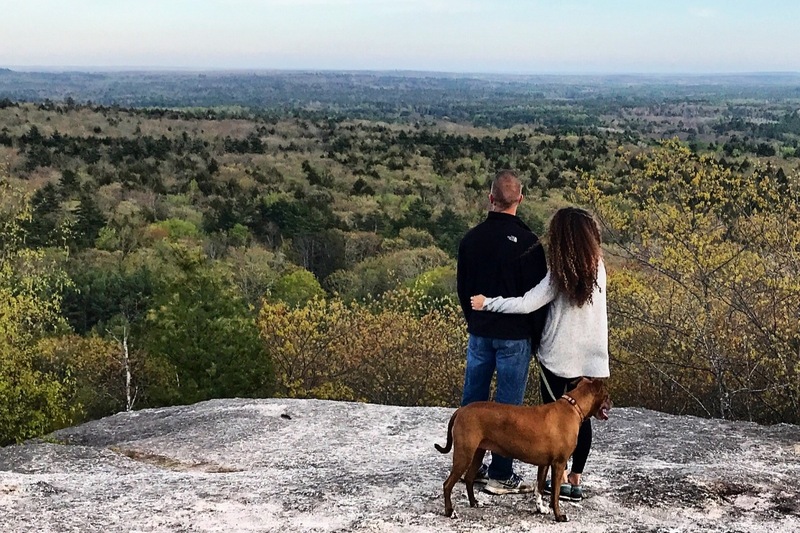 She received the Creativity Award through Salem State University and attended a training for Teaching Recovery Yoga and a workshop on Teaching Mindfulness to Children. 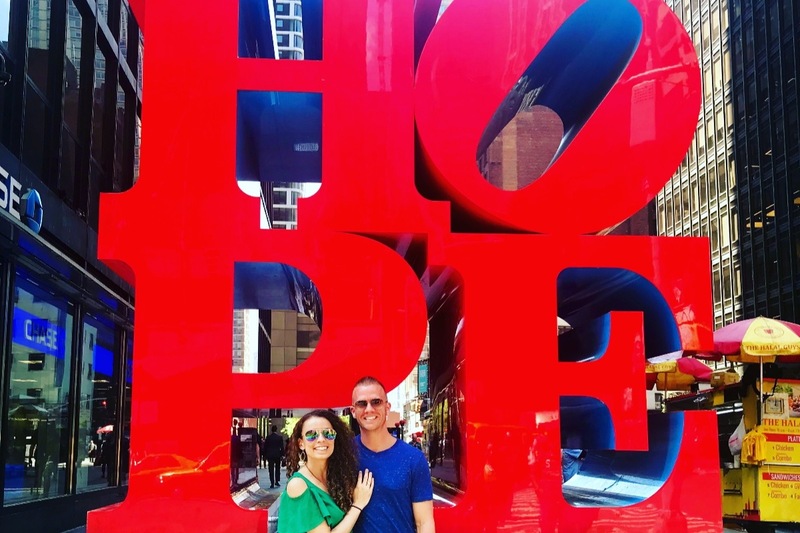 She has traveled to 20 countries and volunteered in a variety of settings including with at-risk youth, those in addiction recovery, and the homeless population. Years spent in the restaurant industry have helped to fund many of those endeavors. The two of us together have combined experience, skills and passions that will help our business and its addition to the community thrive and succeed. Without you we would not be able to make this a reality. We hope that through this project it will become something in which our entire community benefits. Thank you from the bottom of our hearts! 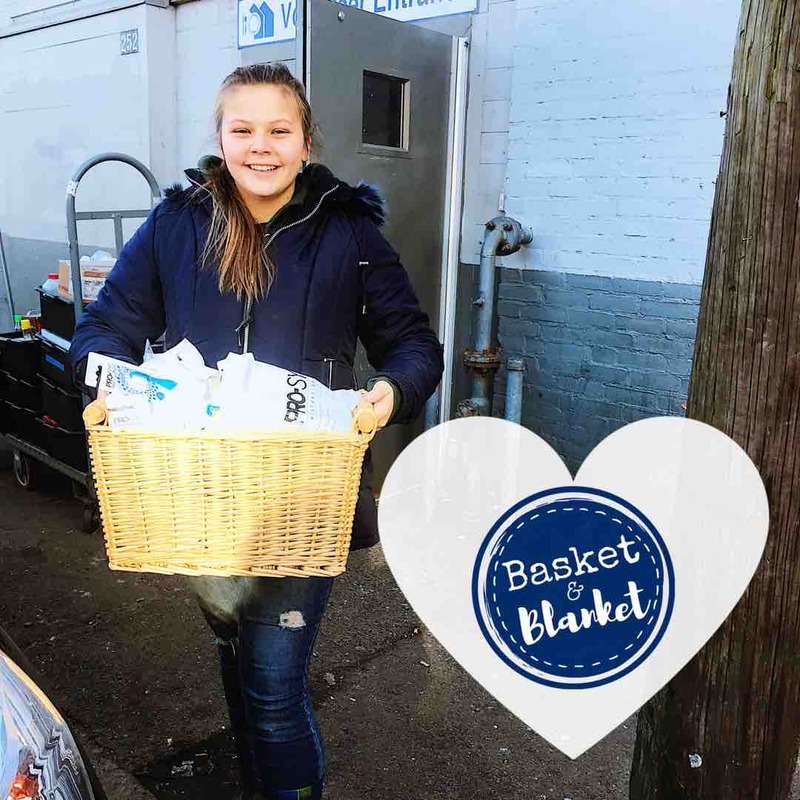 In December we made our first donation on behalf of Basket & Blanket to the Preble Street Teen Center, donating baskets of toiletries, jackets, hats and gloves, and blankets. The money came from donations to this page and 10% of what we made from our Far More Than A Dinner Party. Thanks for your contribution! In October we hosted our first fundraiser, Far More Than a Dinner Party. 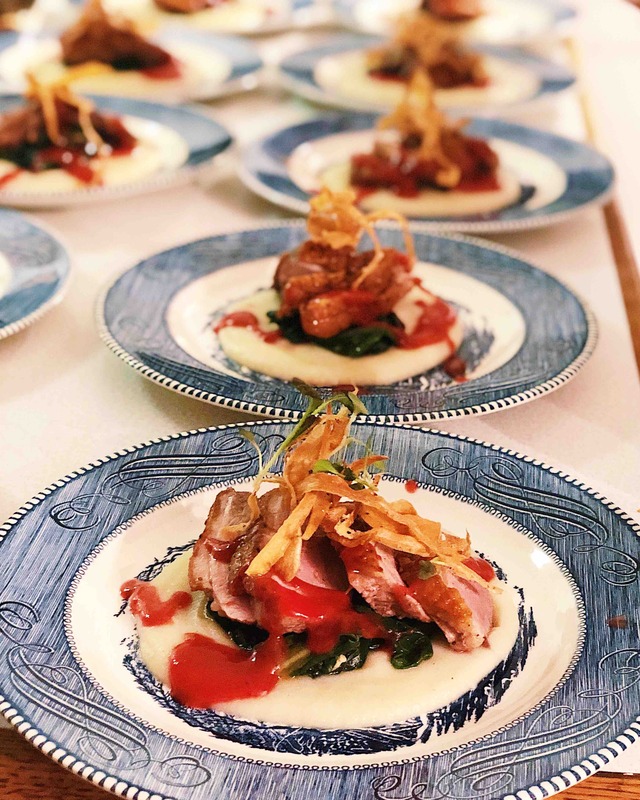 Our intimate pop-up, 5-course farm to table dinner was a huge success of which we were given so much positive feedback. We received support from Hahn’s End Farm and North Spore Mushrooms and the venue was donated by Coolidge Family Farm. Definitely an evening to remember. Funds from this event helped us to apply for some of the startup costs required through the state. Here's our newest update: Over the course of the summer we raised enough funds to apply to be an official company. We have since received our business cards and have been sharing them with the world. Mike gave a speech that provided us with a lot of amazing networking opportunities and Avril started her blog again, with the first post being all about Basket & Blanket. We have been working to solidify the menu, of which we have something new coming that will allow those in the Portland, Maine area to get involved in the process. Stay tuned for that! And the best news of all? We have fallen in love with a truck!